Exciting move for MIET AFRICA! 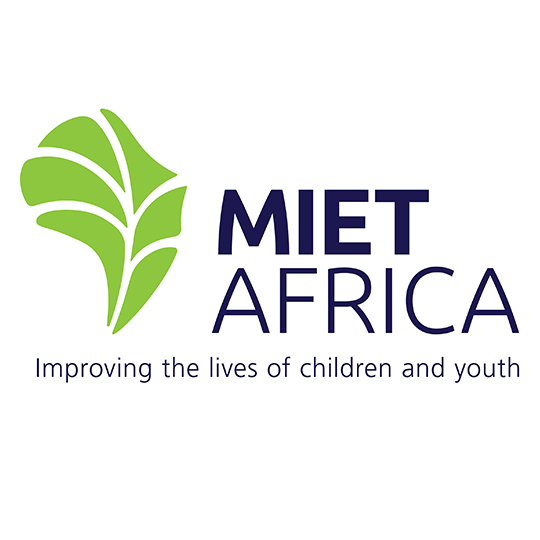 MIET AFRICA is on the move. We will be re-locating to our beautiful offices in Morningside, Durban on 11 November. There may be a few challenges during this time so please bear with us! Physical address: 59 Henwood Road, Windermere, Durban. Our postal address and website/email details will not change. Telephone and fax numbers will remain the same until further notice. We look forward to welcoming you to our new location. It was with great sadness that we learnt of the passing of Selwyn Roy Bean in the early hours of the morning on 3 October 2013. Selwyn has served as the audit committee chairperson for MIET AFRICA over a number of years providing the organization with invaluable input. The entire organization shares these sentiments and our thoughts and prayers are with Jeanette and the entire family. After an exciting year at MIET AFRICA, our CEO, Thobile Sifunda has made the decision to continue serving the development agenda in a different capacity. Her commitment to MIET AFRICA and the work that we do is much appreciated and we have greatly benefitted from the knowledge and expertise she has brought to the organisation over the past year. Before joining in a full-time capacity, Thobile was already very much a part of the MIET AFRICA family, having collaborated with us on many programmes and projects. We have no doubt that we will continue to join forces whenever possible to ensure that our common aim of improving the lives of children is achieved.